Adventure Riding is an endeavor filled with enthusiastic supporters; nowhere can you find a better example of this than through publication. 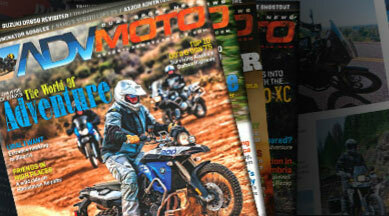 The literature produced in the Adventure Riding world is full of stories, tips and technologies that will inspire and make for a better overall riding experience. Most of the companies in the World of Adventure have online/email newsletters that you can sign up for. Then you can expect to receive product reviews, company updates, testimonials, blogs, special deals, information on upcoming events, and much more delivered to you. Many of these companies rely on newsletters and thus word-of-mouth to advertise and get their quality products in front of the eyes of new and seasoned riders. So mosey on over to their websites and sign up now.